They say that behind every great man is a great woman. Sometimes there’s a great man behind a great woman. But the real magic happens when two great talents collaborate. 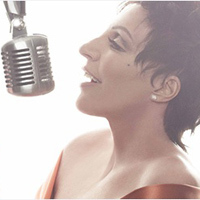 Case-in-point: Liza Minnelli and Billy Stritch, her friend, accompanist, and music director. The two will perform at Walt Disney Concert Hall on Tuesday. Stritch is also accompanying Linda Lavin at Catalina Bar & Grill on Sunday.